This course will prepare you for the Class A CDL written test. Follow the modules, watch the videos and take the practice quizzes. You will be ready take the written test at DMV after you complete the entire program. Colorado residents should learn more about our hands-on CDL School. Don't worry if you live outside of Colorado. These courses will prepare you for the written test at your local DMV too. Out-of-State residents should visit our truck driving school friends for your practical training. A Class A CDL is required for any COMBINATION of motor vehicles with a (GCWR) Gross Combination Weight Rating of 26,001 pounds or more. PROVIDED the GVWR (Gross Vehicle Weight Rating) of the towed vehicle is more than 10,001 pounds. 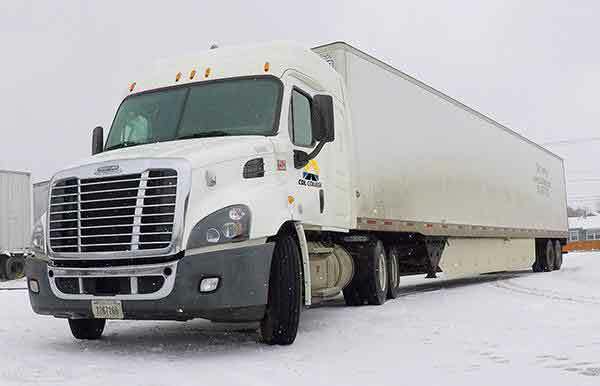 Essentially, a class A CDL is required if your truck pulls a heavy trailer.